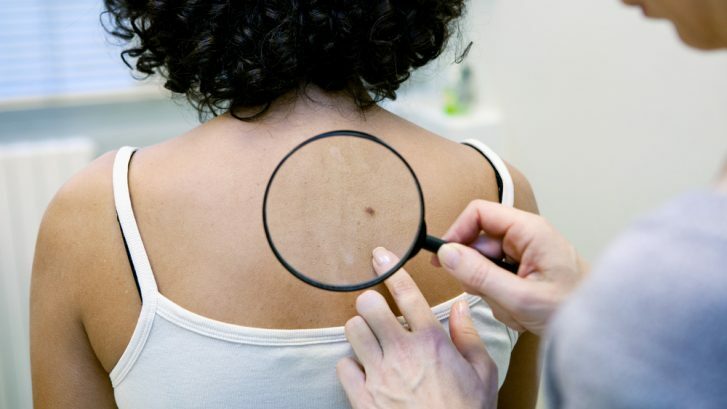 For some time, Mohs surgery has been considered one of the safest and most effective treatments for non-melanoma skin cancers in Southern Maryland. In fact, it is not only diagnostic, but it is usually curative. That being said, the procedure can be lengthy and require significant cutting and subsequent recovery. Fortunately, patients now have a non-surgical alternative in Superficial Radiation Therapy. SRT-100 is an FDA-approved procedure for skin cancer that has a very high success rate, without incisions, anesthesia, pain, or downtime. Keep reading to learn all about this revolutionary treatment as well as the differences between SRT and Mohs surgery in Waldorf, MD. What Is Mohs Surgery for Non-Melanoma Skin Cancers? Mohs is a surgical procedure that can treat non-melanoma cancers. It involves removing very thin layers of tissue and examining them under a microscope to identify the presence of malignant cells. If no cancerous cells are observed and clean margins have been achieved, the process ends. However, if cancerous cells are noted, then another layer of tissue will be excised and evaluated. This cycle continues until malignant cells are no longer noted under microscopy. What is Non-Surgical SRT Therapy for Non-Melanoma Skin Cancers? SRT-100 is a non-invasive, non-surgical treatment that is specifically designed to eradicate non-melanoma skin cancers like basal cell carcinoma and squamous cell carcinoma. It is an innovative, FDA-approved procedure that attacks malignant cells with precise doses of Superficial Radiotherapy. What’s more, SRT Therapy only penetrates up to 5mm below the surface of the skin and is therefore able to target cancer cells, while preserving healthy surrounding tissue. What Are the Differences Between SRT and Mohs Surgery? There are several key differences between SRT and Mohs surgery in terms of time, recovery, pain, results, and success rate. While Mohs surgery can sometimes take several hours, SRT is much quicker and time-efficient. SRT can be performed without cutting, sutures, anesthesia, or pain, and patients have a much faster healing process compared to Mohs surgery. Also, after undergoing SRT, there’s no risk of post-surgical infection or need for reconstructive surgery. The same cannot be said about Mohs, which often requires deep cuts and additional procedures for cosmetic repair. Following SRT, patients do not have to worry about scarring or nerve damage, which are both possible with Mohs. For this reason, SRT is especially appealing to men and women with basal cell carcinoma or squamous cell carcinoma on their faces or sensitive parts of the body. Mohs has demonstrated a 99% cure rate for new skin cancers and a 95% cure rate for recurring skin cancers. While these stats are impressive, SRT boasts a 95% success rate, without surgery, incisions, anesthesia, or a lengthy recovery. For additional information about the differences between SRT and Mohs surgery for non-melanoma skin cancers in Waldorf, MD, please contact our office today to schedule a comprehensive consultation with Dr. George Verghese.